Mike Pagtakhan is the City Councillor for the Point Douglas Ward in Winnipeg. He is a committed husband and father of three.Mike is a dedicated community member, who is devoted to improving Point Douglas for all families. After attaining his Bachelor of Arts Degree from the University of Manitoba in 1991, Mike pursued and completed his Certified Professional Purchaser designation from the Purchasing Management Association of Canada in January 2002.Mike also graduated from the 4-year Certificate in Management program from the University of Manitoba in June 2002.To help strengthen his spiritual side,Mike has recently completed the Winnipeg Archdiocese's Nathaniel Formation Process at St. Charles Parish. Successful accomplishments stem from the valuable experience that Mike has gained from such positions as: Union Secretary and Shop Steward for Canadian Union of Public Employees (C.U.P.E. Local 998) and the Specifications & Contract Officer with Manitoba Hydro.Mike is currently on a Political Leave of Absence from Manitoba Hydro where he spent twelve years before dedicating himself to public service. 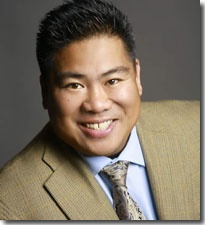 In his first term as City Councillor, Councilor Pagtakhan held numerous positions within the city.He was appointed Deputy Mayor and the given the position for Acting Deputy Mayor by the former City Mayor.Along with these, Councillor Pagtakhan also served in the Executive Policy Committee, Standing Policy Committee on Protection and Community Services,Citizen Equity Committee, Winnipeg Housing Rehabilitation Corporation, Joint committee-Council Members and C.U.P.E Representatives and Winnipeg Committee for safety etc.. In his second term, Councillor Mike Pagtakhan is appointed by the Mayor as the Chair of the Winnipeg Housing Steering Committee.He sits on a number of Committees at City Hall, including: the Standing Policy Committee on Protection and Community Services, the Citizens Equity Committee, and the Winnipeg Public Library Board. He has been elected by his colleagues as the Deputy Speaker.Councillor Mike is also a member of the Exchange District Business Improvement Zone. In addition to his busy schedule Mike continues to work and volunteer with community organizations, such as the Edge Artists' Collective Program.Mike was actively involved in the self-initiated: Filipino Youth Initiative and The BUILD 2007 humanitarian project where he and fellow volunteers embarked on a mission that resulted in 10 homes built in Escalante, Bacolod. Along with their mission, a total of 1100 used children's books were gathered from the Winnipeg community and Tyndall Park School and were personally delivered to Fernando Maria Guerrero Elementary in Paco, Manila, along with many letters, gifts, and a personal computer with internet access.